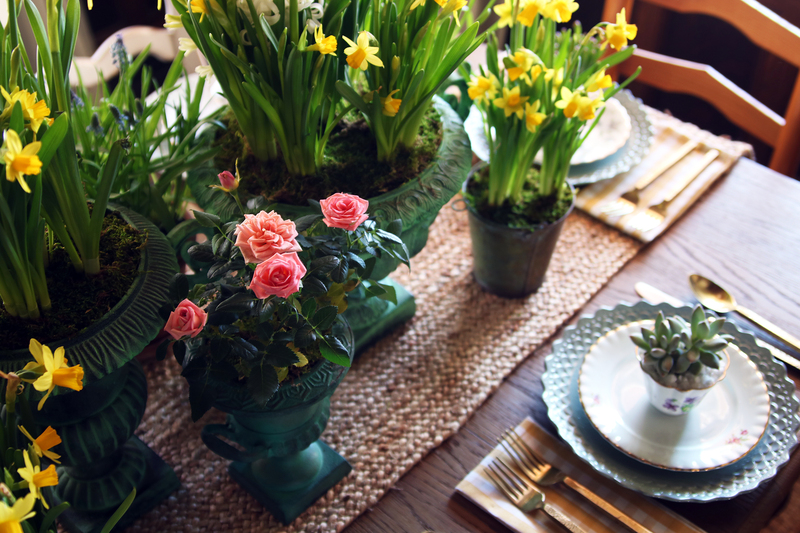 Let’s style a spring tablescape inspired by nature and your garden! We’ve been patiently waiting, and despite still having snow on the ground, it’s officially spring. 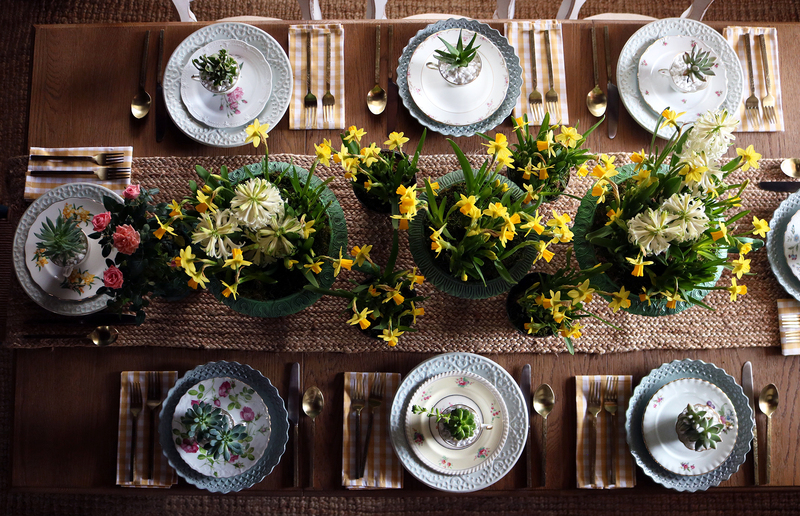 Just in time for the holiday weekend we’re styling a seasonal tablescape. 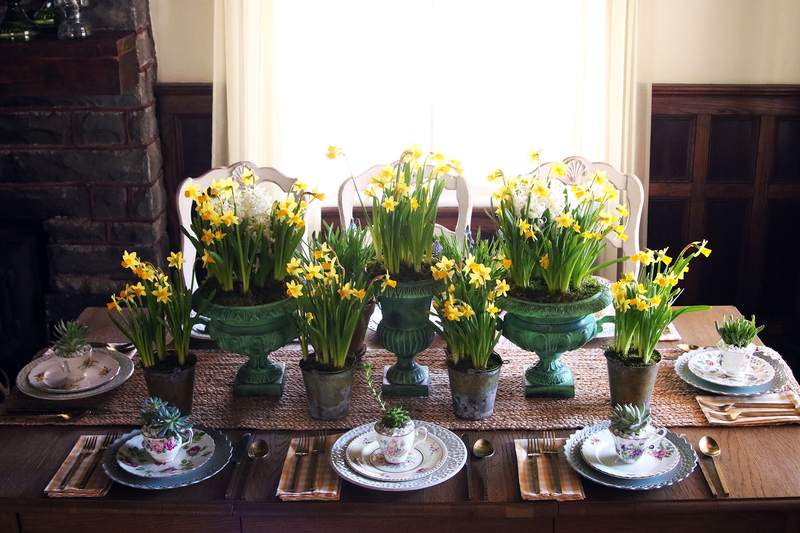 Perfect for entertaining, our garden-inspired table brings natural elements inside for everyone to enjoy. 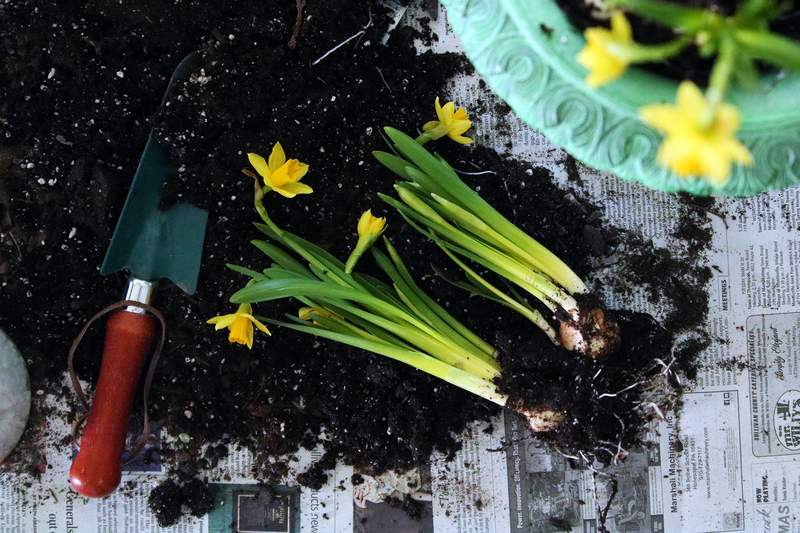 For us, bulbs are one of the first blooms at the farmhouse. 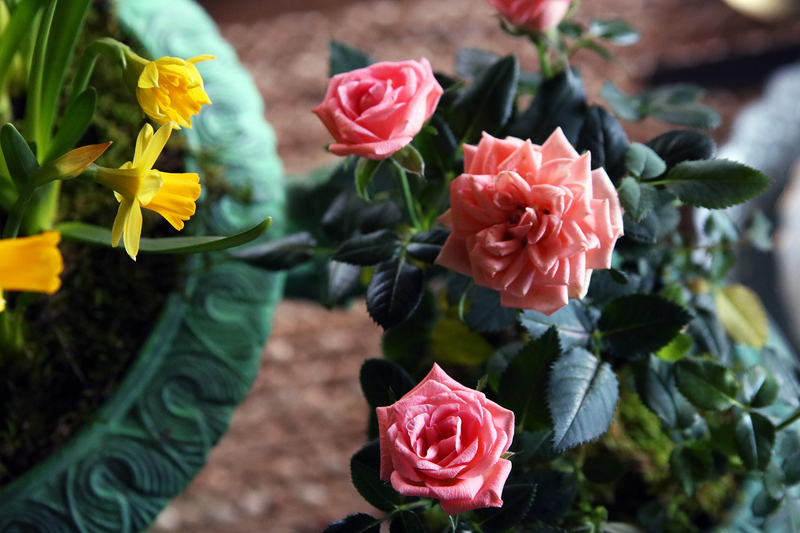 We also love bulbs because they’re perennials, blooming year after year. 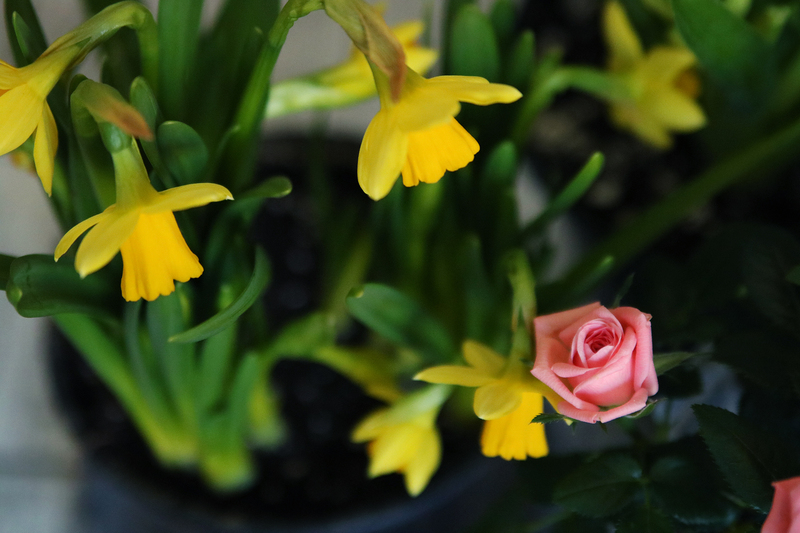 Whether you force them inside throughout the winter, or buy them ready to go, these are the perfect springtime flower for any table. 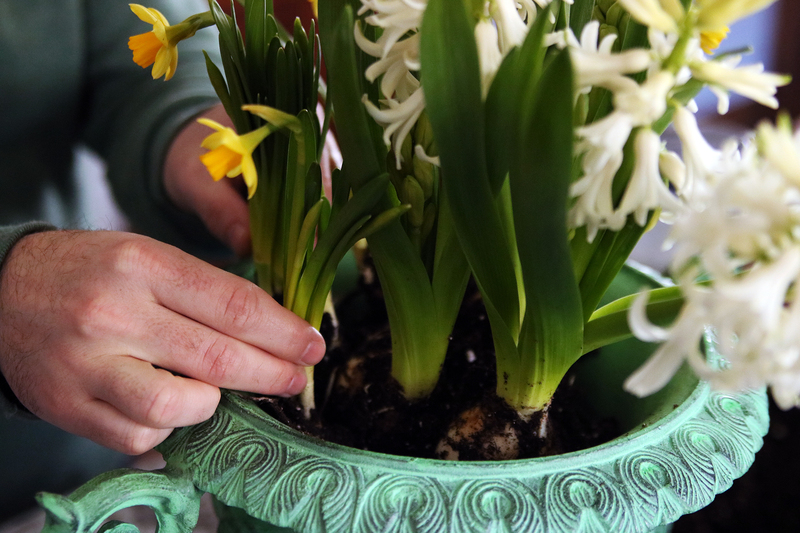 Even better, after the ground thaws they go right back into the soil; alternatively, simply store them in the cellar to be used again next year. 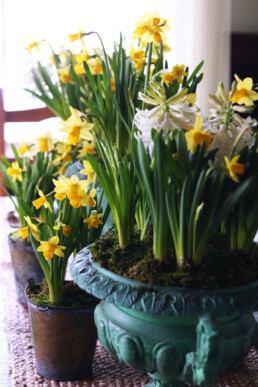 We planted our mini daffodils mixed with hyacinth in a few old metal urns to go down the table. This can easily be done with different sized planters or vases. 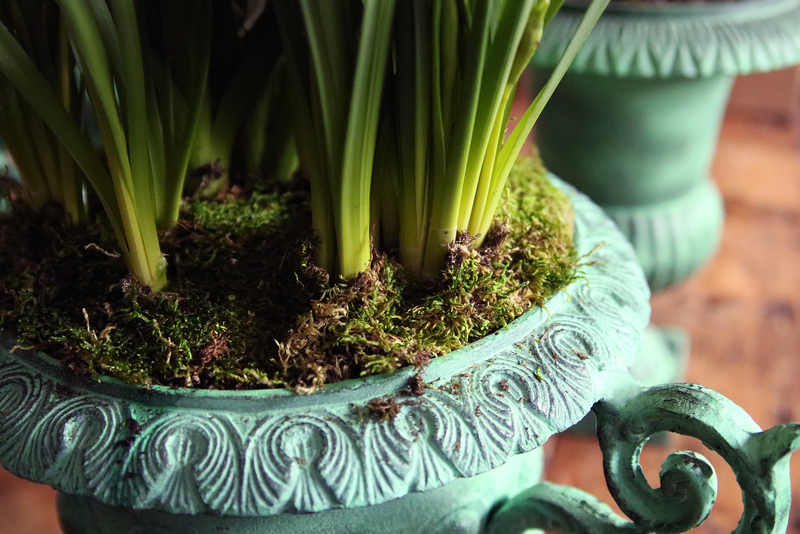 Use stones if you don’t have a drainage hole in your pot and finish off with some moss from the yard or garden center at the base of the bulbs. 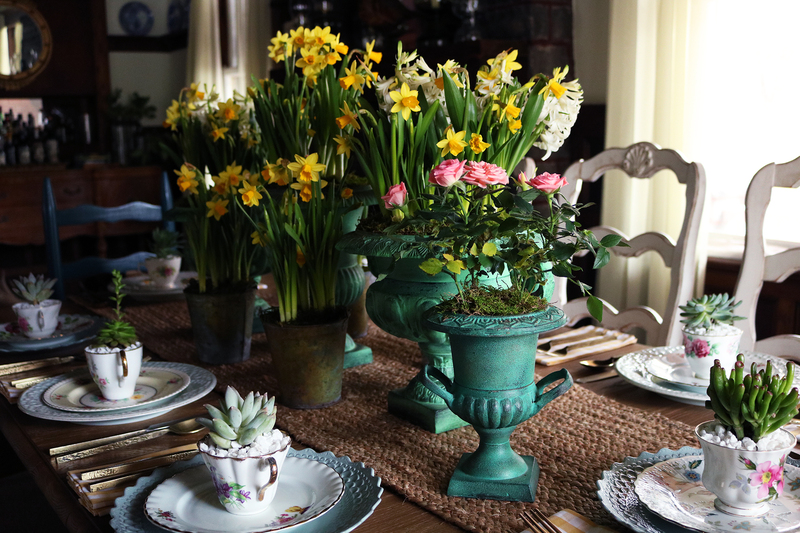 Stagger height for added drama and don’t worry about your guest’s visibility at the table – we remove the larges urns when dinner is ready. 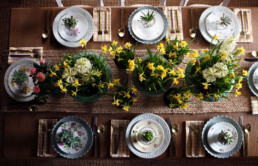 It’s such a great wow factor when your guests arrive (to judge your table!). 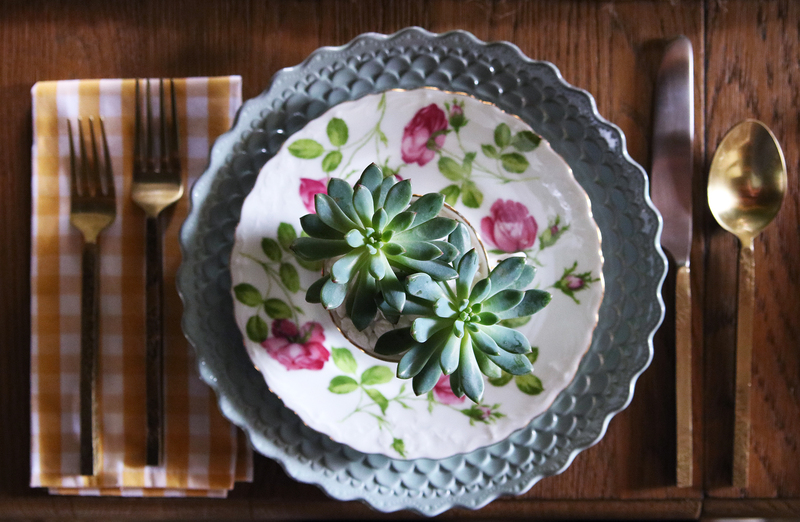 We found wonderful mismatched vintage botanical plates from our friends at Savoy Gardens that went perfectly with our garden theme. Don’t be afraid to mix and match things, but be sure to keep a cohesive color palette or theme to tie it all together. 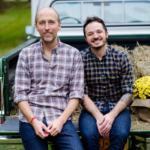 We used simple gingham cloth napkins to carry out the yellow from our flowers. 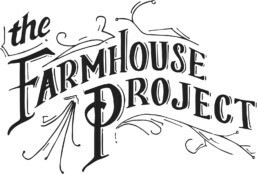 Who doesn’t love a party favor!? They’re a great way to show off your craft skills (just like Martha showed you). 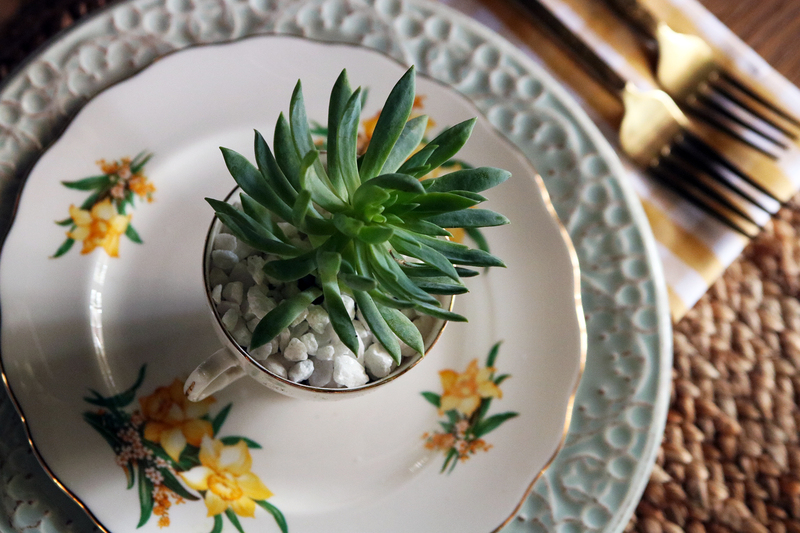 We found these lovely little floral teacups for a steal online and decided to plant mini succulents in them. You can also opt for mini terracotta pots for less than a dollar. Add some pebbles to the bottom for proper drainage and also at the base of your plant. 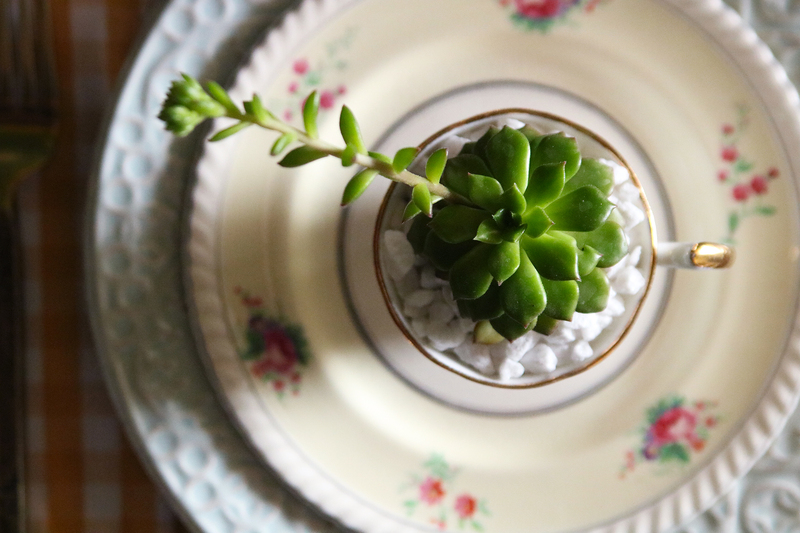 Succulents thrive in small pebbles and sandy soil but remember they also need good drainage. 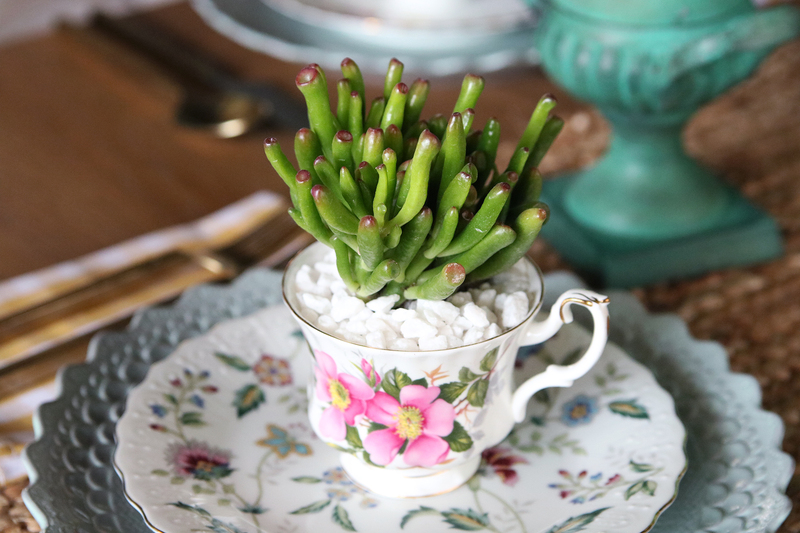 Your guests can always replant the succulent and use the teacup for tea or another crafty idea. With warmer weather just around the corner, we’re eager to get in the garden, entertain, and relax on the porch. 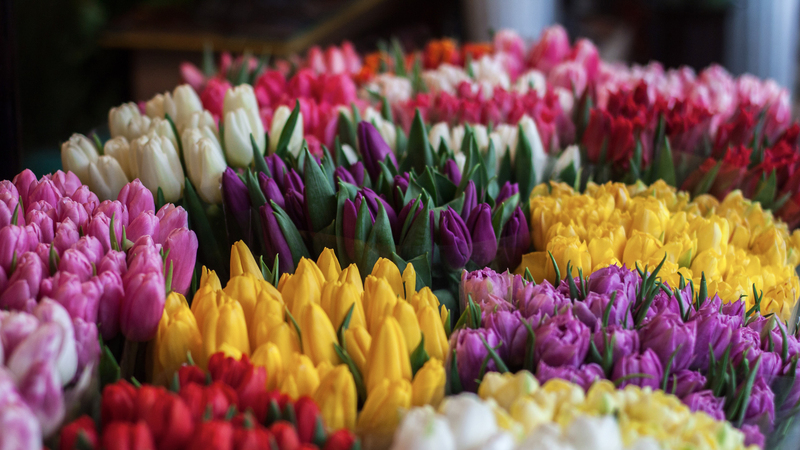 We wish everyone a Happy Passover, Happy Easter and Happy Spring! Beautiful ideas! Thank you for sharing. 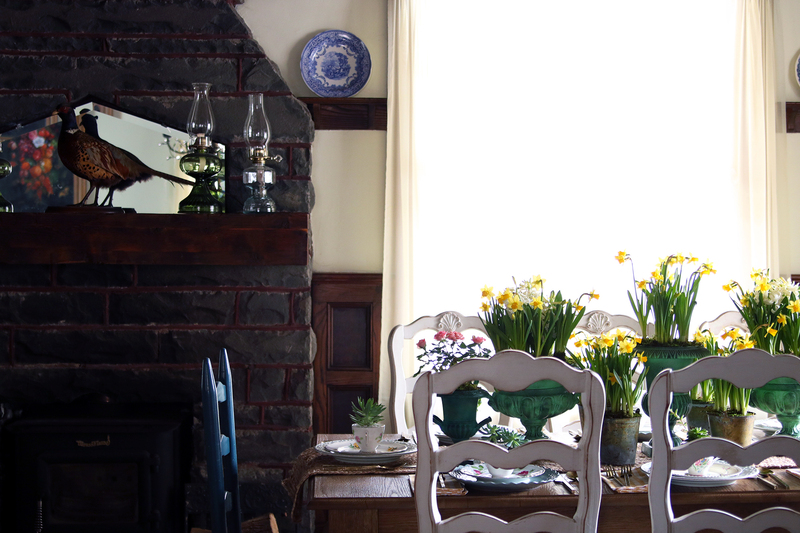 Beautiful table and so inviting. Thank you for sharing. 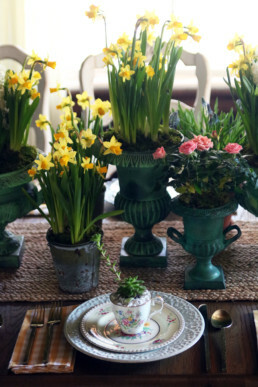 Love it all but those succulent tea cups are just adorbs! Where did you get the urns?